One of the biggest obstacles to understanding Scripture is failing to appreciate its Jewish, Middle Eastern context. Combining careful research with engaging prose, Lois Tverberg equips her readers with tools to transport themselves across the cultural divide between West and East, between our world and that of the Bible. Tverberg highlights cultural ideas that are lost on modern Westerners, allowing us to read the Bible through the eyes of its original audience. She explores how Jesus preached and made bold claims to be the promised Messiah in a very Jewish way. By helping readers grasp the perspective of Jesus’ first listeners, she equips them to read the Bible in ways that will deepen their understanding and enrich their lives. • What cultural differences get in the way for us in the modern, Western world? • How does a lack of grasp of Jesus’ Jewishness cause us to misunderstand his words? • How can we read the Bible more Hebraically? • What tools do we need to read the Bible more as a native? 3. What does “Christ” Mean, Anyway? Looking forward very much to this newest publication. I have pre-ordered your new book and am anxiously waiting for January 2nd. Your previous books have had a significant impact on my personal Biblical understanding and has greatly impacted the way I teach. Thank you so very much for your work. may God continue to bless the work of your hands. I have read your previous books which help to draw a person closer to Jesus so I am looking forward to this book. While reading the above book review I noticed 3 errors in grammer. All are above:”the book explores questions like”..Just thought you would like to know. 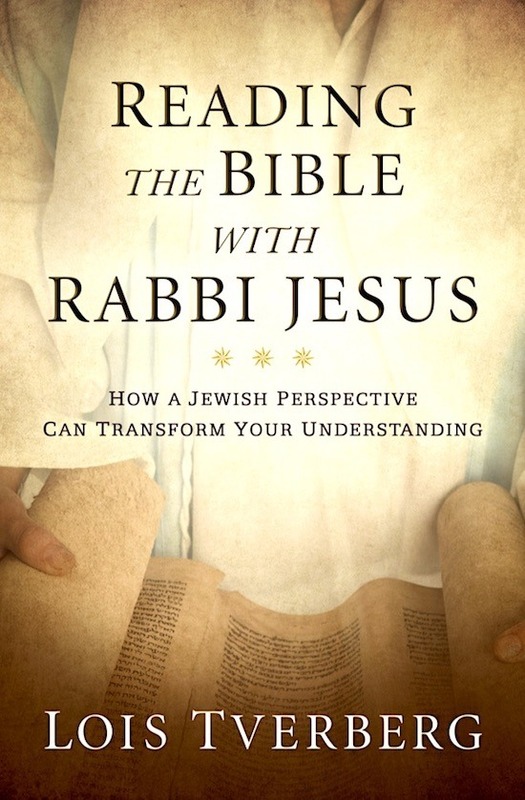 Already preordered Reading the Bible with Rabbi Jesus. Looking forward to another great read. Your books and website are great resources. I would like to join the book launch group you mentioned in your last email. Thank you for sharing these great insights. I have ordered Your new book. I have several of your books and I really enjoy reading them. II have told others about your books. Hi Lois. Looking forward to another great book reading with my women’s group. Your book has given me a greater insight from an Eastern perspective of understanding the Bible. Thank you so much for such great resources. May God continue to bless your mind and heart. Read your recent book and loved it so much that I ordered ten copies for a Bible study I teach. Thank you for all your books. I had originally thought I would ask to xerox a chapter (10), but then I read more and realized I wanted to copy too many chapters to ask for permission…hence the purchase. What a great joy to be able to share the book. Again, thank you for your research and writing. I got the email about promoting your book – I checked the catalog of the public library system I work for and discovered that they do not have any of your books. We provide service to 220,000 people in the capitol area of PA. Would there be any copies of your books that you could donate to our library? I am sure the readers would then happily spread the word! Contact me and I can get us connected! Jennifer – Thanks for your enthusiasm for getting the word out! I think the thing to do is to submit a request for the book to the library, to ask them to acquire it. They have a budget for that, but authors do not. No, but every chapter of every book I’ve written has questions and ideas to reflect on. Due to muscular dystrophy it is very difficult for me to read printed books. Do you have your book in e-book format? If so where I get it and how much does it cost? Dennis, all of my books are available on Kindle and other ebook readers. Reading the Bible with Rabbi Jesus is currently $9.46. Do you have these books in digital format? All my books are available in digital format on various e-readers.